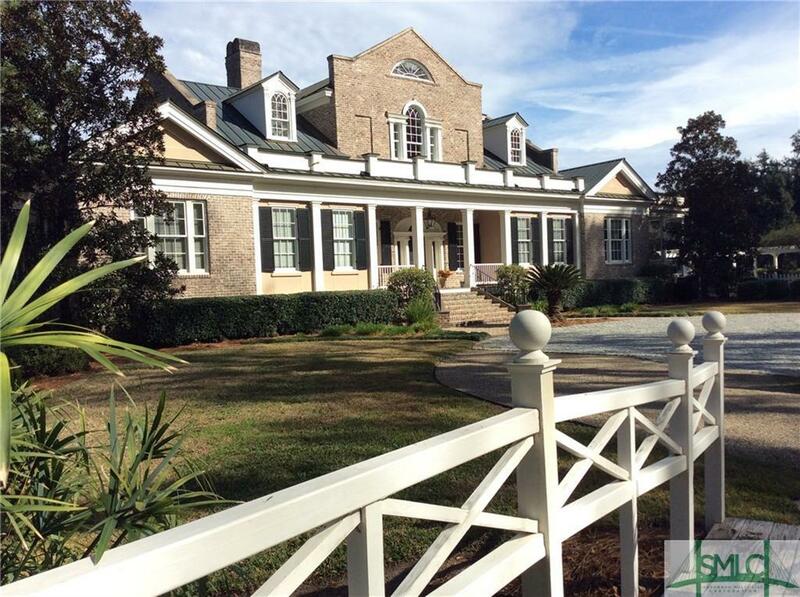 THIS FEDERAL STYLE PLANTATION HOME IS LOCATED WITHIN THE FORD PLANTATION SURROUNDED BY 200 YEAR OLD LIVE OAKS TREES. MANY ROOMS HAVE FLOOR TO CEILING WINDOWS ALLOWING THE EASTERLY EXPOSURE TO FILL THE ROOMS WITH NATURAL LIGHT AND ALSO OFFERS VIEWS ACROSS THE PARK TOWARDS THE OGEECHEE RIVER. 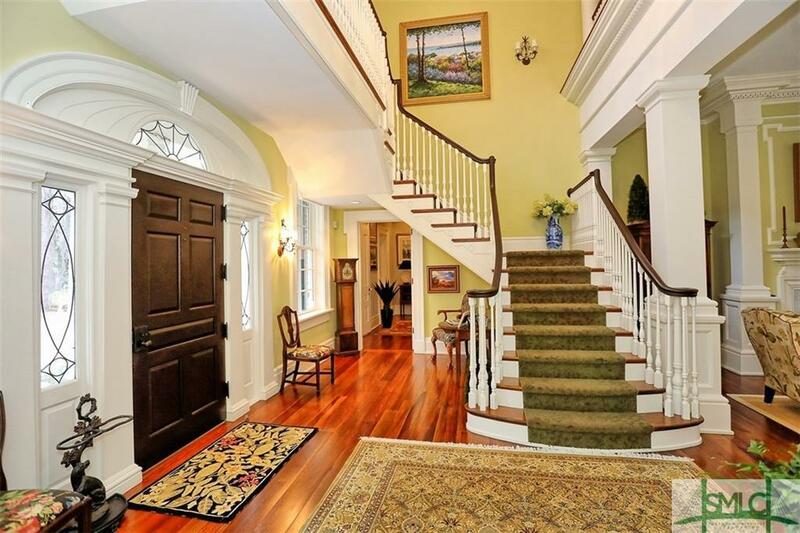 THE SPACIOUS STUDY IS FINISHED WITH PECKY CYPRESS AND OVERLOOKS THE FORMAL GARDEN. THE 65 FOOT BACK PORCH STRETCHES ACROSS THE ENTIRE REAR OF THE HOUSE. AS YOU LEAVE THE SIDE PORCH HEADING TO THE BARN, YOU WILL BE GREETED BY A FORMAL GARDEN LOCATED IN THE COURTYARD. A PERGOLA COVERED WALKWAY WITH A CLIMBING ROSE BUSH NAMED 'LADY BANKS' LEADS YOU TO THE BARN. LOCATED UPSTAIRS YOUR GUESTS WILL ENJOY A LARGE BEDROOM, FULL BATH. KITCHEN AND ENTERTAINMENT CENTER. 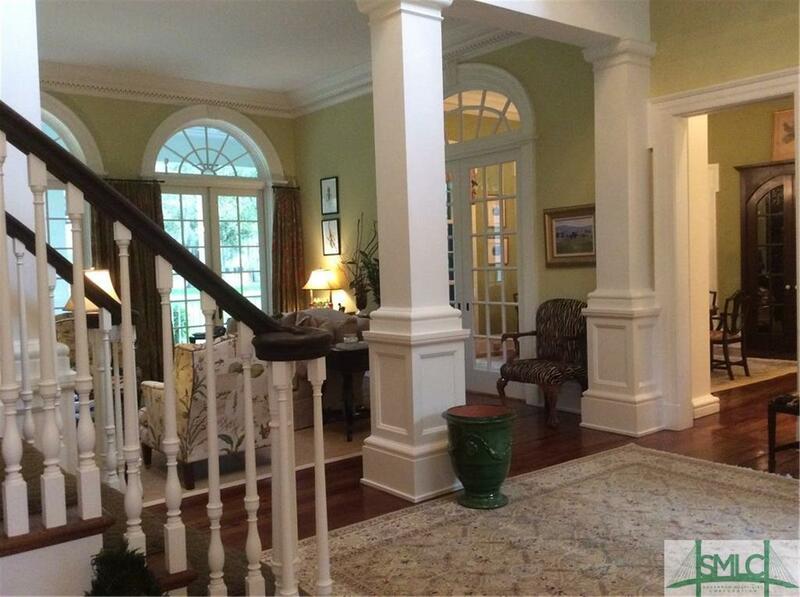 THIS WELL DESIGNED PLANTATION HOME WILL BE PERFECT TO CALL "YOUR HOME." NOTE:HOME IS OWNED AND OCCUPIED BY LISTING AGENT. 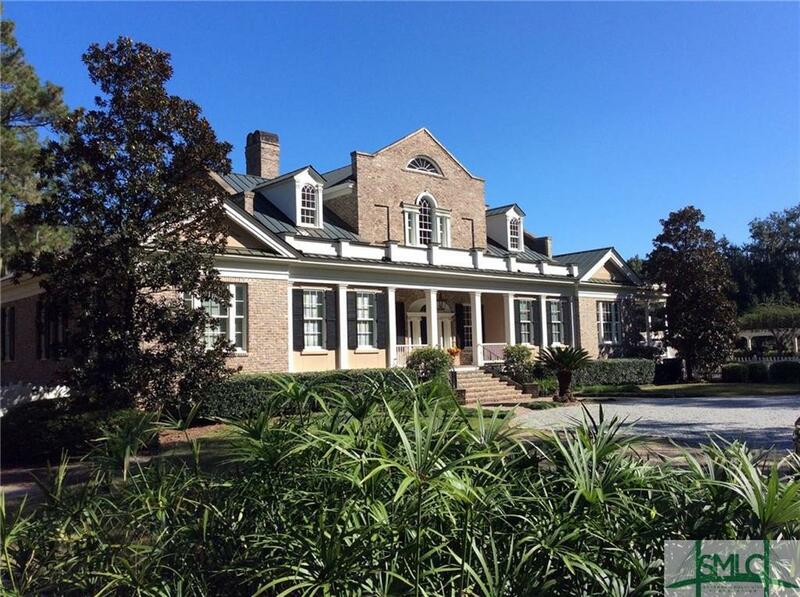 Listing courtesy of Ralph Eagle of Keller Williams Coastal Area Partners. © 2019 Savannah Multi-List Corporation. All rights reserved.